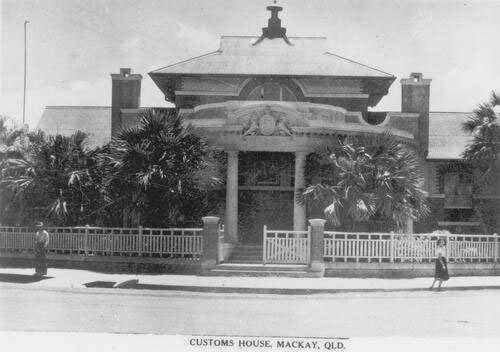 The Mackay Customs House was completed in April 1902. 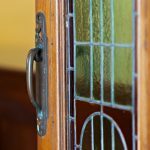 The design of the building is attributed to JS Murdoch, District Architect with the Queensland Works Department, and it was constructed by MS Caskie for the tender price of £3797/18/0. In search of new pastoral land, John Mackay and his party entered and named the valley of the Mackay River in 1860, and the following year he returned to establish a cattle station. In 1862, the ketch ‘Presto’ entered the Mackay River landing stores and building materials, then surveyed the river mouth, which consequently was gazetted as a Port of Entry. 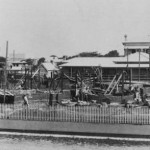 The first settlers arrived in October 1862, establishing the settlement of Port Mackay on the south bank of the river. In January 1863, John Tanner Baker was appointed Sub Collector of Customs for the new port (Baker also acted as Harbour Master and Magistrate). 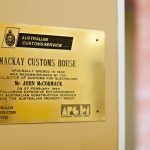 He arrived in February setting up in a tent, but soon established the Customs Office in a corner of the large store of Byrnes, Basset and Co. located on the riverbank. 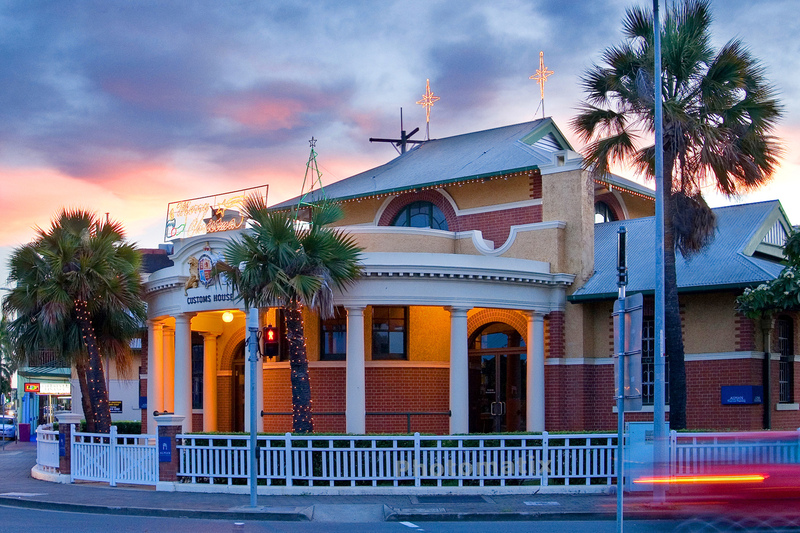 By the end of 1863, the name of the river had been changed to the Pioneer, the first survey of the town of Mackay had been made, and the first land sale of town lots had been held. 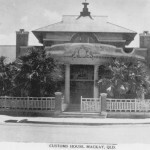 It was soon obvious better premises were needed for the Queensland Customs Service in Mackay, and in 1864, £1000 was allocated for a new building. 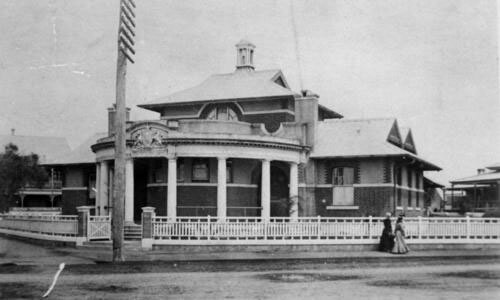 By May 1865 the Colonial Architect reported that the new timber Mackay Customs House had been completed. It was located on the corner of a large ‘Reserve for Government Buildings’, overlooking the river. 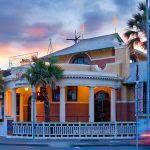 The town of Mackay soon began to prosper through the growth of the port, the nearby pastoral holdings, and the plantations along the river which included the beginnings of the local sugar industry. River Street developed as a busy waterfront precinct with wharves (the Government wharf opened in 1868), warehouses, offices, ships’ chandleries, boat builders, hotels and boarding houses, and the Customs complex which by 1870 included the Customs House, the bond store and the Sub Collectors residence. 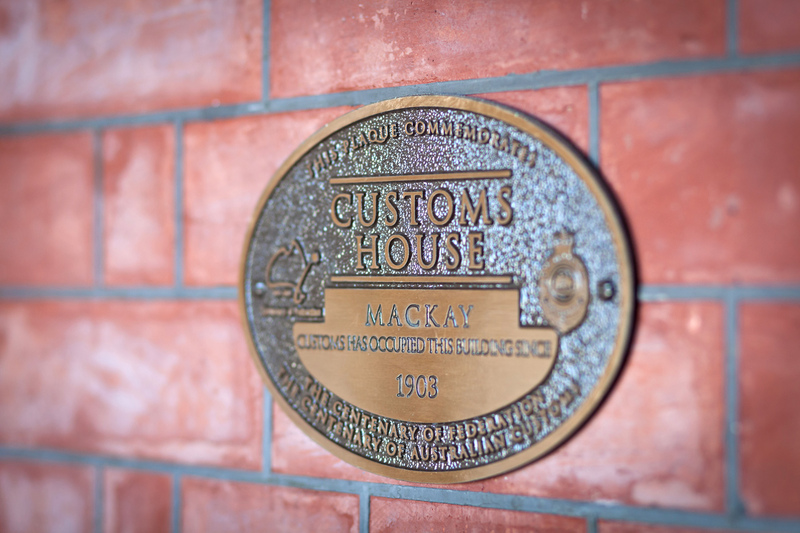 By 1895, agitation had begun for a new Customs House befitting Mackay’s prosperity and importance. Lacking funds, the Government constructed a timber extension to the existing building. The community protested, pointing out that these extensions contravened legislation and should have been of non-combustible materials. The agitation for a new Customs House continued, and in 1900 drawings for a new brick building were prepared and tenders called. 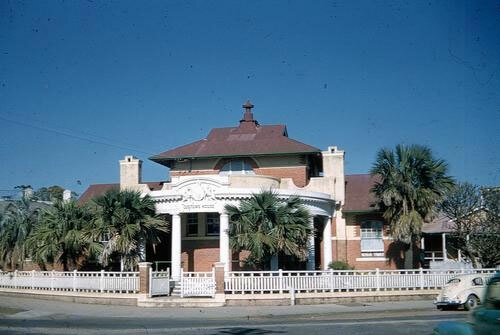 The design of the Mackay Customs House is attributed to JS Murdoch, District Architect Northern Division for the Queensland Works Department. At this time, AB Brady was Government Architect and Acting Under Secretary of the Works Department (as shown on the tender notice), and Thomas Pye was District Architect Southern Division, and they both may have had input into the design. 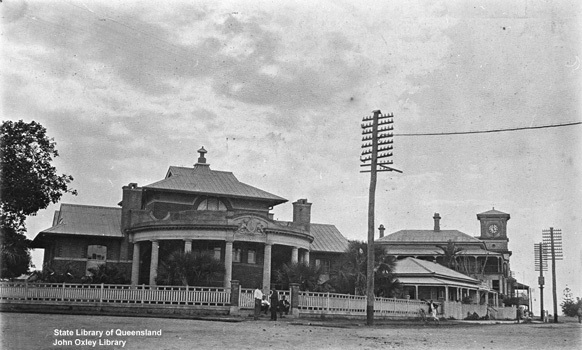 Under this team, the Government Architect’s Office produced many of Queensland’s finest public buildings, including a number for the new Commonwealth. 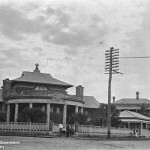 JS Murdoch was also responsible for the Customs Houses of Maryborough, Bundaberg and Townsville, which exhibit some similarities in style to that of Mackay. 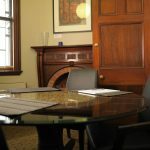 He later joined the Commonwealth Government where he was involved in the planning of Canberra and the design of the provisional Parliament House and the Canberra Hotel, and rose to the positions of Chief Architect and Commonwealth Director-General of Works. 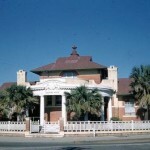 The Mackay Customs House was completed in April 1902. 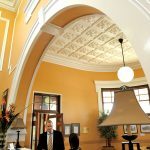 It was reported as featuring locally made bricks, cement and plaster finishing, rolled galvanised iron roof, wood and zinc ceilings, and joinery and fittings of cedar. 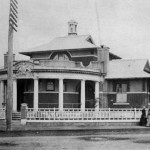 The original timber Customs House was moved sideways to become the front portion of the adjacent Second Officer’s Quarters. The original Reserve for Government Buildings was divided into the Customs House Reserve and the Post and Telegraph Reserve. In 1905, the Commonwealth subdivided the Customs Reserve further, returning the portion which included the Quarters to the State. 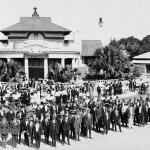 Also in 1905, palm trees were planted to the north and the east of the Customs House. 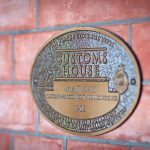 In 1921, the Commonwealth Bank leased the Customs House for 10 years, moving the Customs Service back into the adjacent timber building. 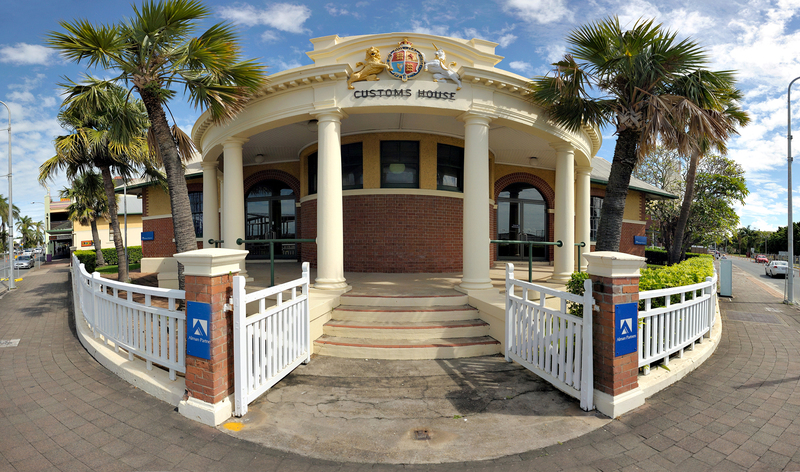 The Customs House has since been altered several times for multiple occupancy, housing various other government departments. The brick Bond Store, on the south-east corner of the site addressing Sydney Street, was constructed about 1935. 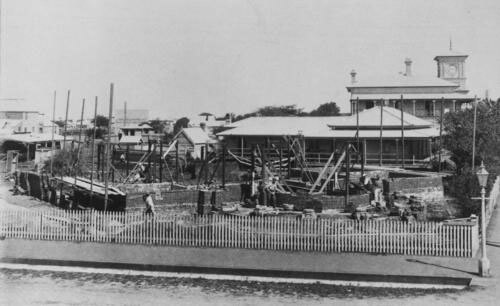 Following the devastating cyclone of 1918, Mackay enjoyed a period of substantial growth through the 1920s and 1930s. Local member and Premier of Queensland William Forgan Smith promoted Mackay’s development, strongly supporting the Mackay Harbour Project and the Sydney Street bridge replacement. The first Sydney Street bridge, completed in 1887, was the second bridge across the river at Mackay, but for some time lead to nowhere. 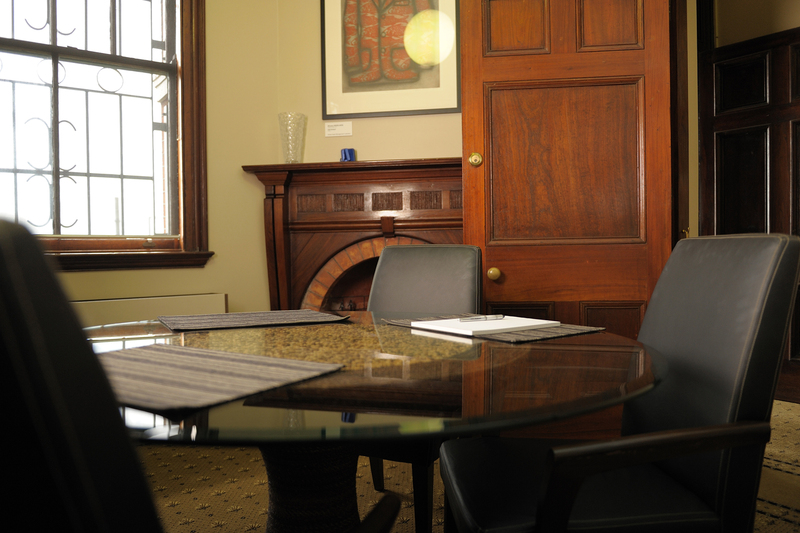 Located adjacent to the Customs House, it marked the ‘head of navigation’ of the Pioneer River. The new bridge was completed in 1938, increasing traffic along Sydney Street to North Mackay. The inadequacy of the river port had been recognised by 1914. In 1939, the new Mackay Outer Harbour was opened, and the services of the river port gradually transferred to the new harbour. Apart from the Customs House and the Bond Store, only a few of the buildings of the former river port still survive. 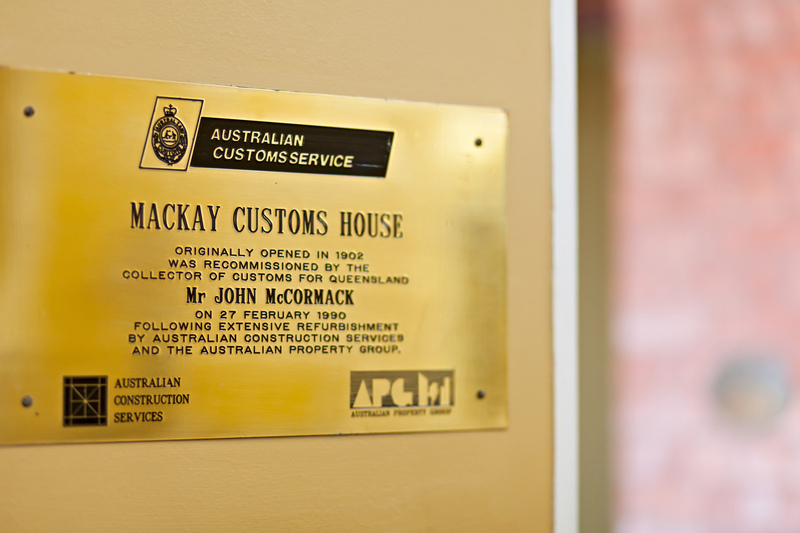 In 1969-70, extensions were made to the rear of the Customs House. 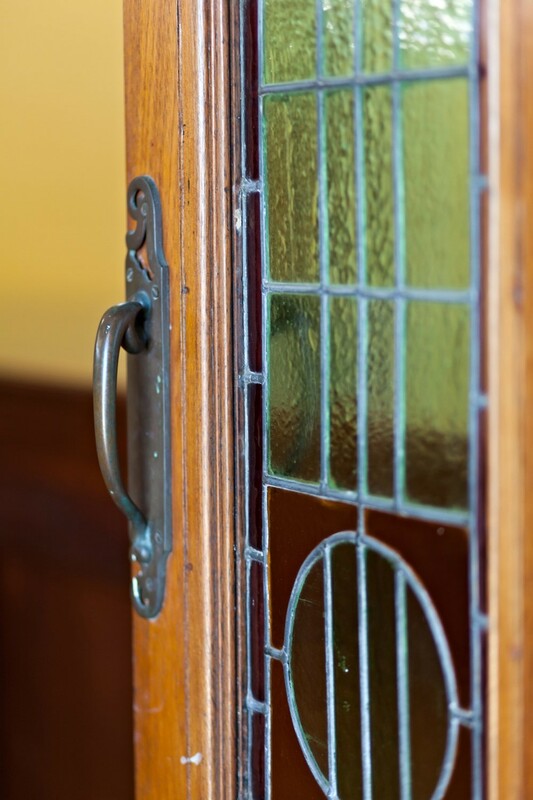 In the late 1980s, conservation and restoration works were undertaken, reversing some of the alterations which had been made to the interior of the building. 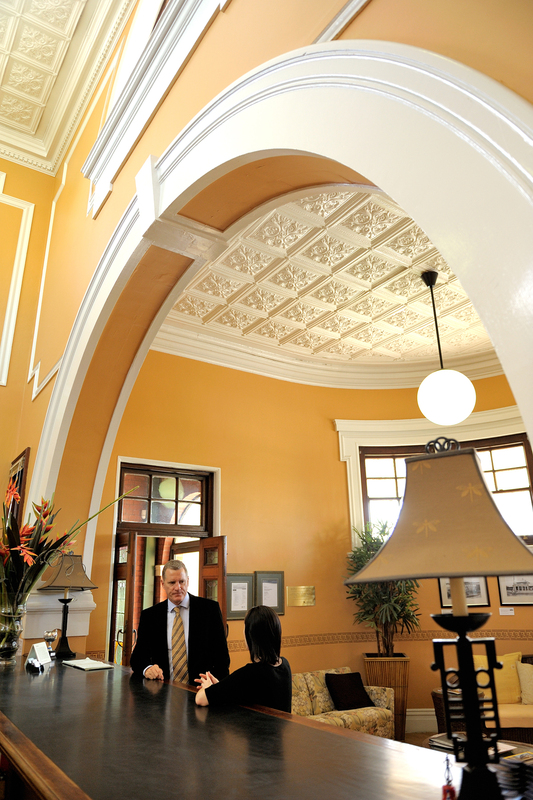 The Customs House was purchased by the present owners, Alman Partners in 2004, who refurbished the building, meeting the community’s expectations of a keystone heritage building in a revitalised City Centre. 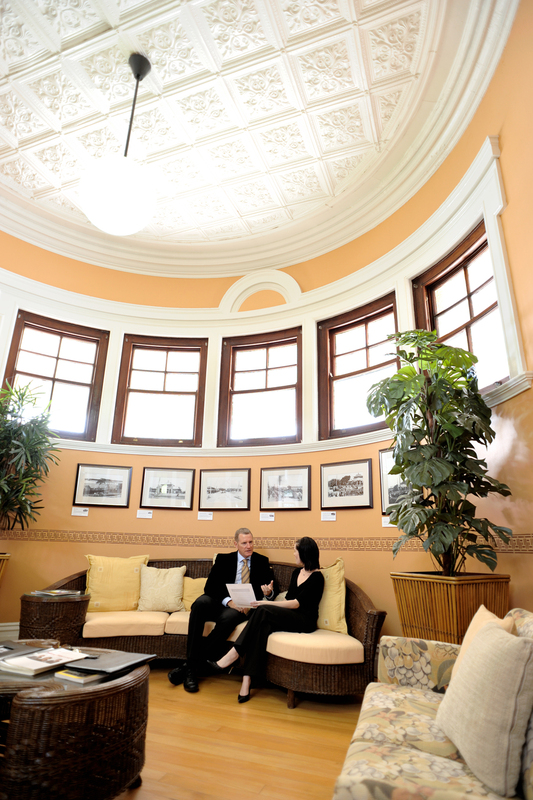 Alman Partners was awarded the 2006 Mackay City Council Heritage Award for the restoration. 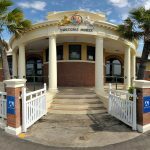 A Heritage Walk in Mackay.